While most hawker food is economical and comes in hearty sized portions, it is hardly associated with being healthy. Chicken rice, roti prata, carrot cake and nasi lemak — there are a plethora of food options to choose from, except that they tend to loaded with lots of salt, oil and fat. Not to mention that with temptations such as milo dinosaur, bandung and ice kachang around, it can be difficult not to give in to our cravings. In a bid to eat healthier, many of us then resort to ordering wraps, poke bowls or even preparing our own home-cooked food but these attempts tend to be futile due to time constraints or a limited budget. Coupled with the convenience and easy accessibility to numerous hawker centres near our homes and workplaces, eating healthily can seem like an uphill task. However, contrary to perception, there are still plenty of nutritious and delicious food available at the hawker centres in Singapore. You just need to be aware of the options and know where to look. In light of this, we have compiled a list of 7 healthier hawker foods that you can opt for, so that you can enjoy a wholesome yet authentic local culinary experience. Asides from keeping a lookout for healthier alternatives, you can also request for lesser salt, sugar and oil in your food from certain food stalls. Under the Healthier Dining Programme, there have been some hawkers that specially altered their recipes so as to adhere to the ‘clean-eating’ initiatives. Low calorie options are also emphasised and highlighted in the menu board of these various hawker stalls, making it easy to pick out amidst the other options. If you are new to Singapore, you can even try your hand at using the local lingo such as such as ‘shao yan (less salt)’, ‘shao you (less oil)’, ‘Teh C Kosong (Tea with evaporated milk but no sugar)’ at certain stalls to personalise or place your food or drink order. 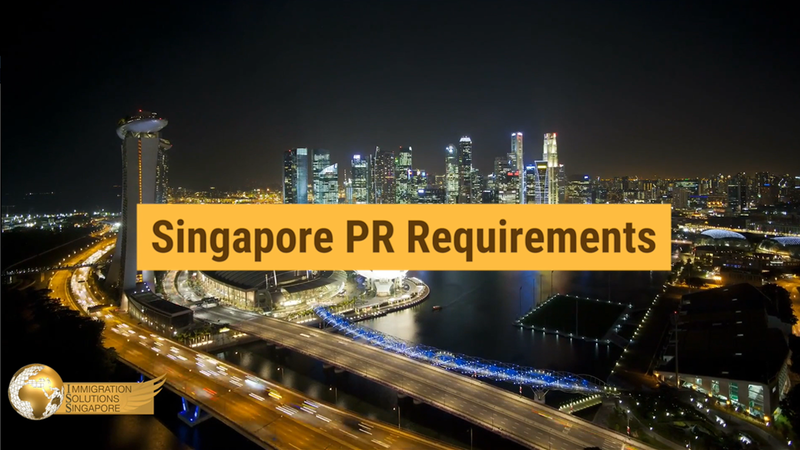 This will not only help to facilitate the ordering process but can be beneficial in the long run, especially if you choose to settle down permanently in Singapore. Not to mention that with the advent of various cashless payment options at some hawker centres, dining out has become increasingly convenient and hassle-free. You no longer have to scramble for cash in your wallet but can simply wave your ezlink or credit card at the dedicated payment terminals installed at some hawker centre stalls. As such, it comes as no surprise that hawker food remains a popular meal choice among the locals and foreigners. Well-received among many locals and foreigners alike, Yong Tau Foo is a dish that enables you to select the type of ingredients and matching carbohydrate (rice or noodles) that you want. Whether be it meat, vegetables or several variations of tofu products such as ‘tau kwa’ or ‘tau pok’, you are given the liberty of customising its preparation method, thus allowing you to enjoy a wholesome yet tasty hawker food option. This is especially so if you choose to get your ingredients boiled rather than deep fried. However, be sure to stay away from dipping your ingredients in the various condiments and sauces provided as those tend to be packed with sodium or sugar. Savour the delightful combination of crunchy vegetables such as turnips and bean sprouts, eggs, prawns and peanuts all wrapped together in a wheat based, crepe-like skin. Known as ‘Popiah’, this local delicacy is a great way to get your fill of vegetables while ensuring satiety. It is also a convenient and fuss-free food that can be consumed anytime and anywhere, hence making it a popular takeout option. So, the next time that you find yourself overwhelmed with work deadlines or other personal commitments, why not opt to buy popiah as a meal instead? In fact, if you like cooking, you can even consider making your own popiah. It will be an excellent way to get acquainted with the local style of preparing it, so that you can make it for your family and friends. This can come in extremely useful if you intend to live in Singapore for good as popiah is a popular food that is eaten during gatherings. 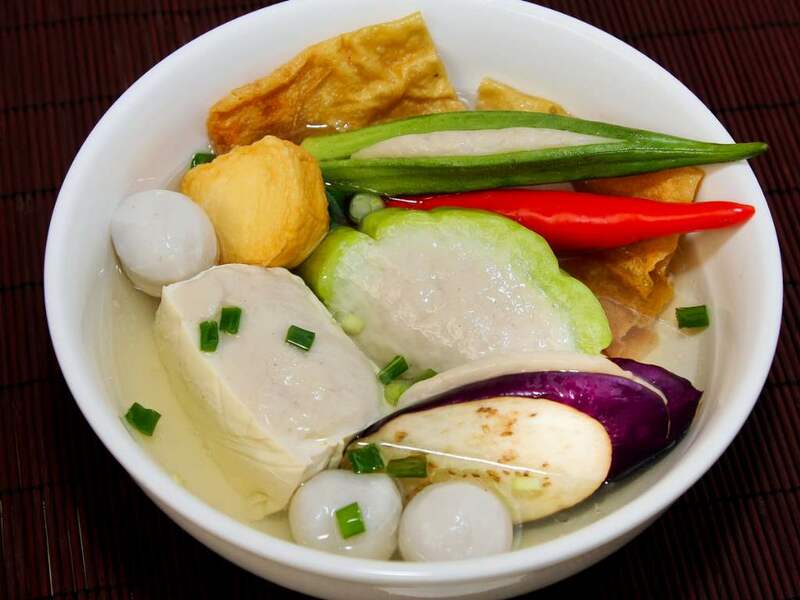 Containing a mixture of bitter gourd, fish, tofu and tomatoes soaked in a broth, sliced fish soup is a light yet nutritious hawker food that doesn’t add to your waistline. As such, it tends to be a favourite among people on diets, whether be it office workers or housewives. Depending on your preference, you can choose to pair it with rice or noodles. To maximise the nutritional value and healthiness, you should opt for the clear broth and non-fried fish. This is because fried fish tend to be laden with oil and fat, thus potentially disrupting your clean eating plans. Rather than tucking into a bowl of rich, gravy-based mee rebus, why not opt for mee soto instead? Consisting of noodles, bean sprouts and chicken, mee soto is a healthy yet mouthwatering dish with a slightly spicy and tangy aftertaste. However, be sure not to drink all of the broth though as it contains salt and fat, which can be detrimental to your diet.